Whenever you purchase something new for your house or you want to relocate your home, you need tempo on hire in Gurgaon (Gurugram) for transport your goods. Harihar logistics provides door to door transportation services with tempo on rent in Gurgaon (Gurugram). As we are a packers and movers company in Gurgaon (Gurugram) we providing tempos on cheaper rates with on time delivery. TATA Ace is the most usable vehicle for commercial and household goods transportation in Gurgaon (Gurugram). You can hire Tata ace on rent in Gurgaon (Gurugram) with most reliable and professional transport company in Gurgaon. For commercial goods and eatable stuff such as food, drinking items, and vegetable we use closed body Tata ace during delivery. Shift your stuff with mini truck on hire in Gurgaon (Gurugram) by harihar. For all kind of household goods shifting such as fridge, washing-machine, almirah, beds, sofa sets and other house stuff, we are having closed and open body mini trucks on rent in Gurgaon (Gurugram). Harihar packers and movers in one of the leading tempo service providers in Gurgaon (Gurugram) with more than 50 Tata ace and mini trucks, 15 Mahindra pick up bolero, and 10 canter truck for local transportation services in Gurgaon (Gurugram). For small distance in Gurgaon harihar packers and movers offers tempo on rent for shifting in Gurgaon (Gurugram) with, Harihar provides professional Staff for loading and unloading services and appropriate packing material for packing to keep your goods safer. we are not having tempos only but we are dealing in Mahindra bolero pick up as well. You can make your transportation easy with booking of Mahindra bolero pick up in Gurgaon (Gurugram) for commercial move and residential shifting. Harihar logistics is in business of transportation from last 5 years and having huge number of commercial vehicles make us better option to hire loading tempo in Gurgaon (Gurugram). 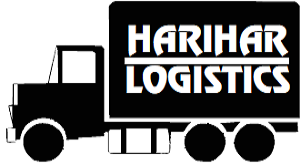 If you are trying to find mini truck transporters in Gurgaon (Gurugram) for shifting of your small items or furniture, you can contact harihar logistics on 9212312368. Distance between Gurgaon to Noida is around 60 km. You can get Tata ace for rent from Gurgaon to Noida with harihar at cost of 2000 INR. We can provide you labour as well if you required for loading and unloading of your stuff. It doesn't matter if you have to move only one item or complete household stuff you can hire Tata ace tempo for Delhi from harihar packers. Just call us and get tempo on rent from Gurgaon to Delhi. If you have to transport your goods from Gurgaon to Rajasthan and you are searching for Tata ace or tempo for Rajasthan. Then you are on right place to get all in one transportation solution with us. Our big chain of mini trucks and canters makes your shifting from Gurgaon to Rajasthan easy. For complete transport solution all across Haryana you can book truck or tempo/Tata ace with harihar logistics. We move goods from Gurgaon to ambala, sonipat, hisar, panipat, karnal, bahadurgarh, Rohtak, Sirsa, Chandigarh with mini trucks or Mahindra pickup.by all small commercial trucks we cover complete Haryana. Harihar packers and movers are having a vast numbers of tempo/truck hire & rental services for Light commercial vehicles (LCV), Full load and part load transportation services as well for all commercial movement from Gurgaon to Ahmedabad Gujarat. Hire trucks for Vadodara city of Gujarat with Harihar logistics. For all kind of commercial and household goods transportation we can provide you all types of canter, tempo and trucks such as 14 ft., 17ft., Tata truck, Eicher truck and closed containers as well to make your transport needs fulfil.